If you're familiar with String then I'm sure one of the first products that comes to mind is probably their Pocket shelf. We've owned a few at home, some in white and oak. They're perfect for spring small objects in the kitchen, bedroom or wherever. I used to display vases, candle holders and small breakable things out of reach of the kids. 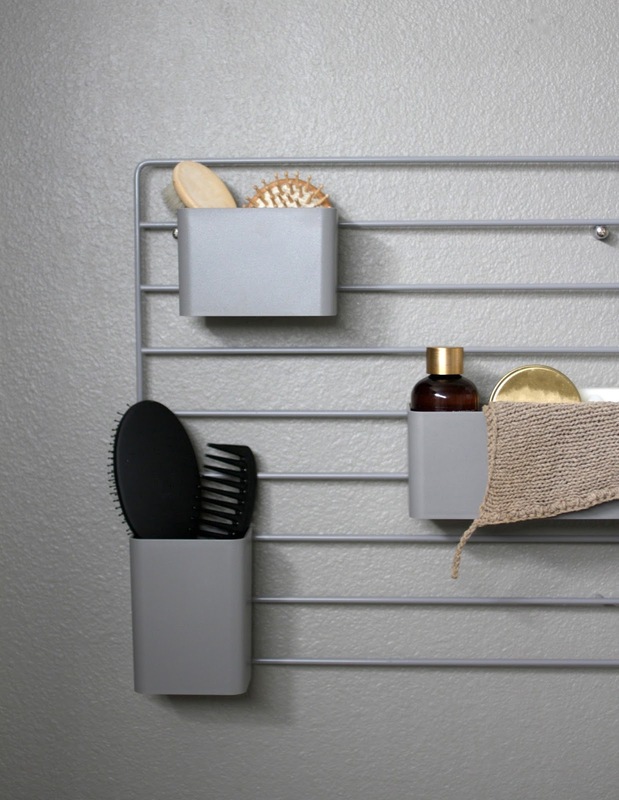 But String doesn't just make the Pocket, they make entire systems for organizing and storing. 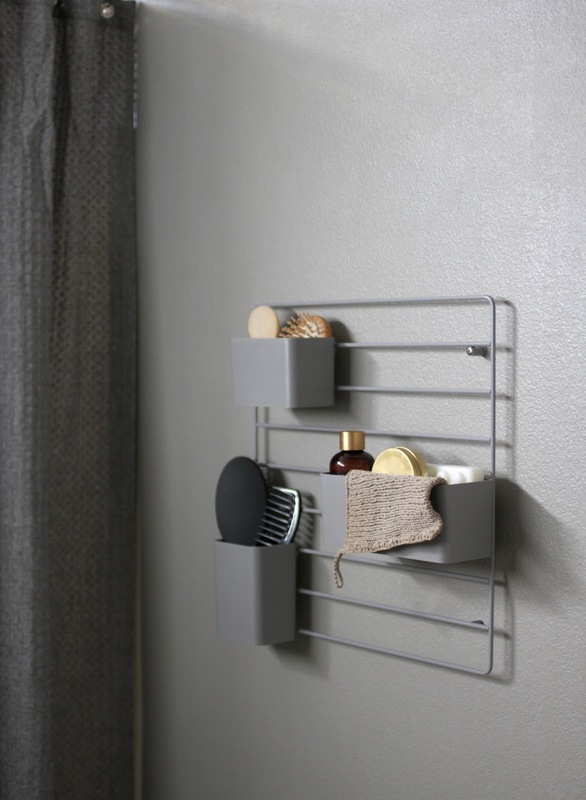 Earlier this month I order their Grid and Grid organizers for the kids' bathroom to keep track of brushes, hair ties, hand towels and post-bath oils for their skin. 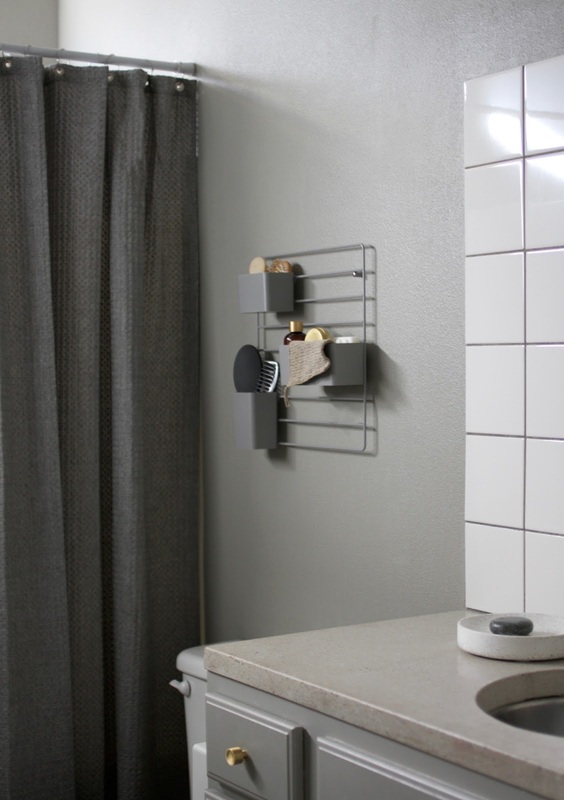 It's a simple and clever design, and just enough extra storage for this bathroom.